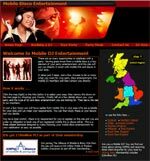 The terms “MobileDJ.info” or “us” or “we” refers to the owner of the website. The term “you” refers to the user or viewer of our website. or their policy on cookies. Already know all about AMPdj and the benefits we offer - you can go straight to the registration form. Check out all the member benefits you will receive by joining AMPdj - more than just DJ PLI. Have a question? Use the contact form here or give us a call on 0333 577 2247(Calls charged at normal landline rate and included in applicable call/bundle packages). DJ industry organisations, shops and suppliers can register here or, if you are already a Trade Partner, you can login here.